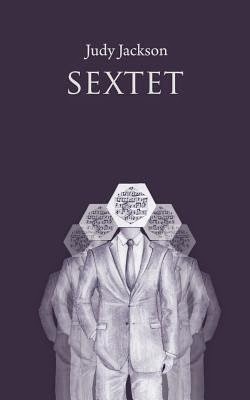 As the title implies, Sextet by Judy Jackson is a novel with a cast of six characters with intertwined lives. Living in London are two married couples, one booking agent, and a baby. This engrossing tale begins with a jolt as a driving instructor crashes into a pedestrian who seemingly came out of nowhere. From there, the story rolls forward unraveling the lives of its main characters: an Italian concert pianist and his pregnant wife, his booking agent, and a hotel decorator and his shopaholic wife. I found this story engaging and relatable in many ways. Its main themes are marriage, betrayal, and redemption. The writing is tight and characters believable. As in any tragedy, I felt sorry for the people in this book whose lives had spun out of control without their knowledge. I especially enjoyed the way the author chose to end the novel. In real life situations such as these, when one is heartbroken, forgiveness is difficult, if not impossible to dispense, but Jackson successfully illustrates it can be done. I recommend this book and am grateful the author contacted me requesting that I review it. I think it is well worth reading. This entry was posted in Uncategorized and tagged betrayal, booking agent, Books, England, Italy, Judy Jackson, marriage, married couples, piano, premature birth, redemption, Sextet. Bookmark the permalink.